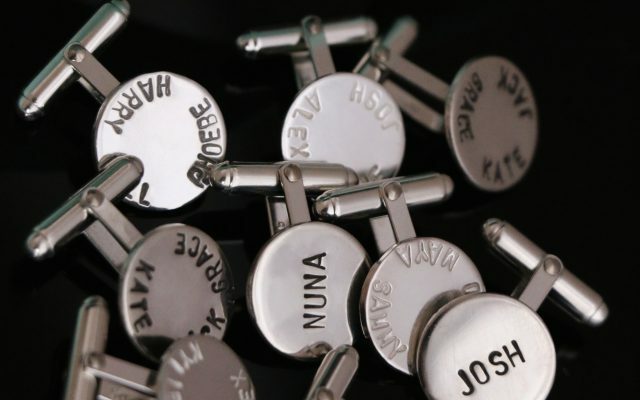 A much need boost & upgrade all in one! 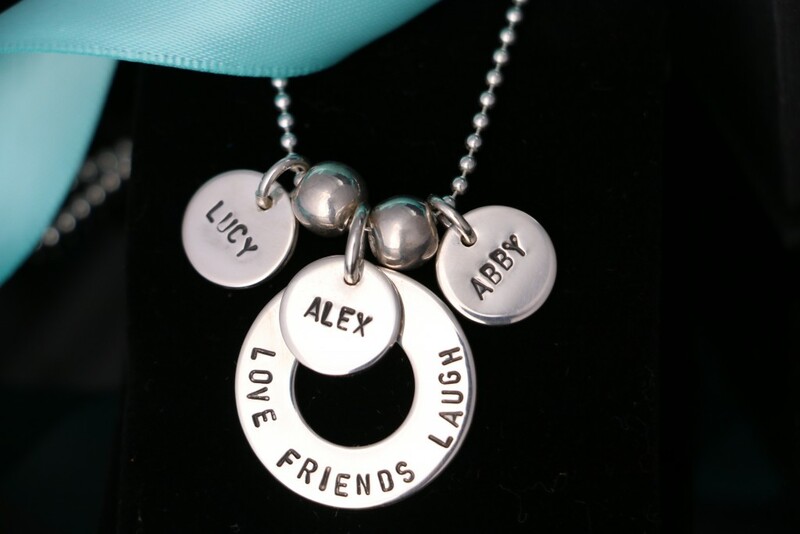 A beautiful piece created for a long time client to enable her to combine her original ‘Adore’ necklace bought in 2010 with the new ‘Treasure’ necklace or wear them as stand alone pieces. 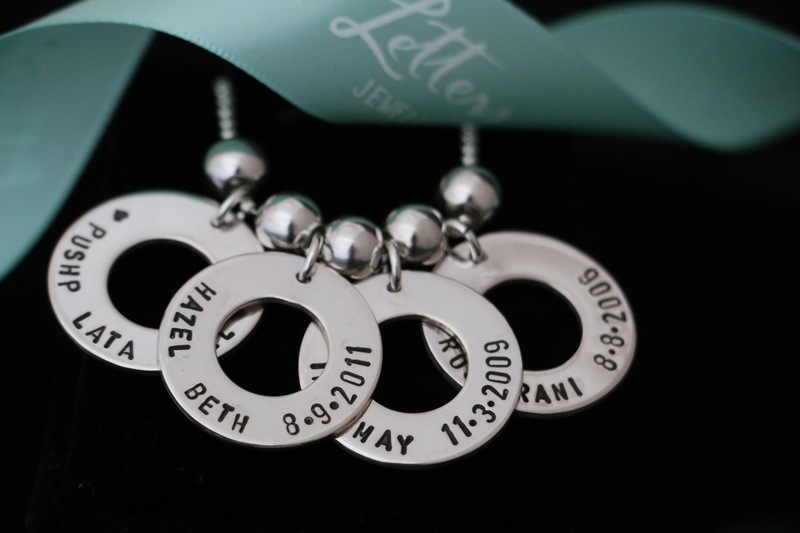 This Classic Love Letters 2mm ball chain of 60cm in length features four Love Letters ‘Treasure’ Charms enhanced by five ball spacers. 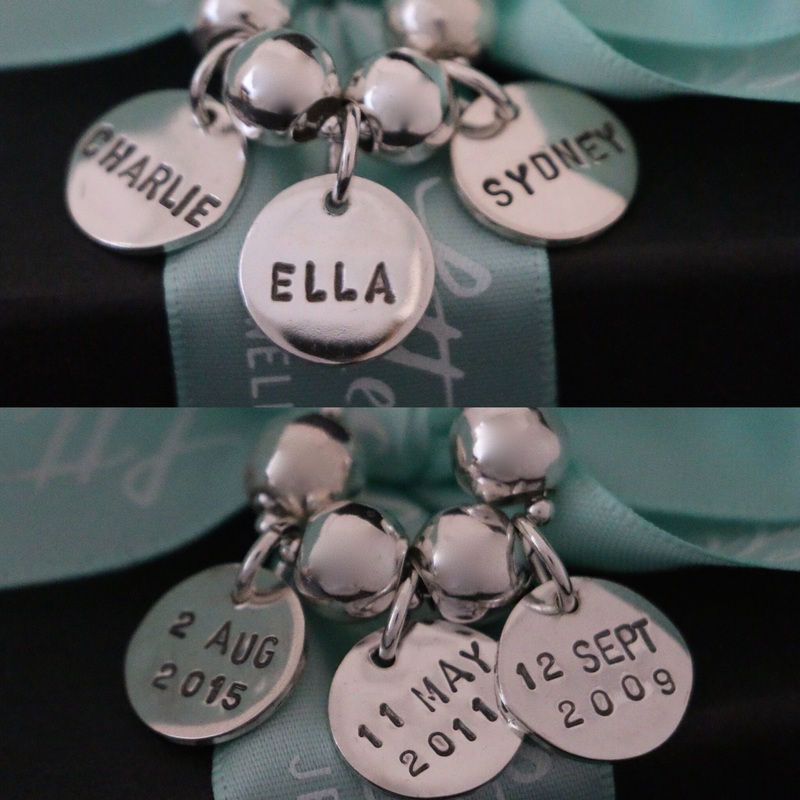 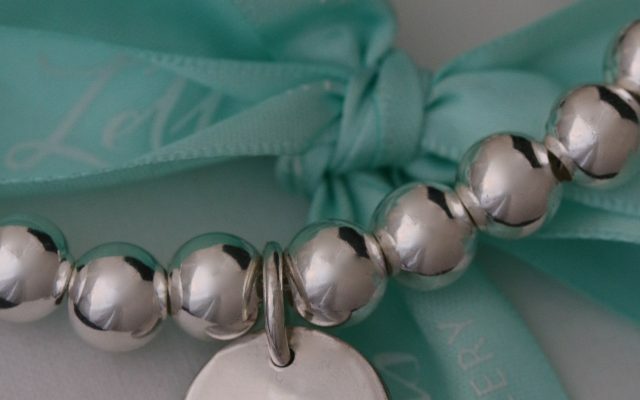 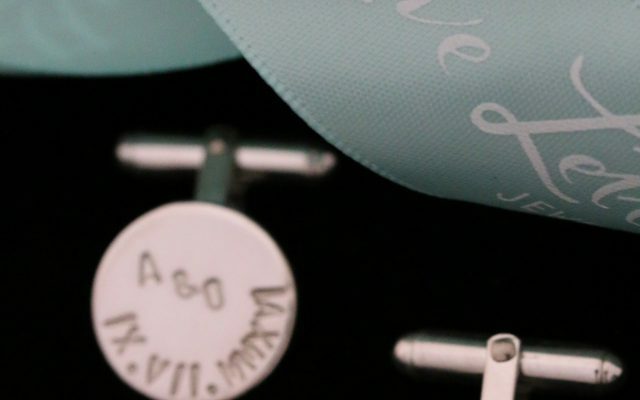 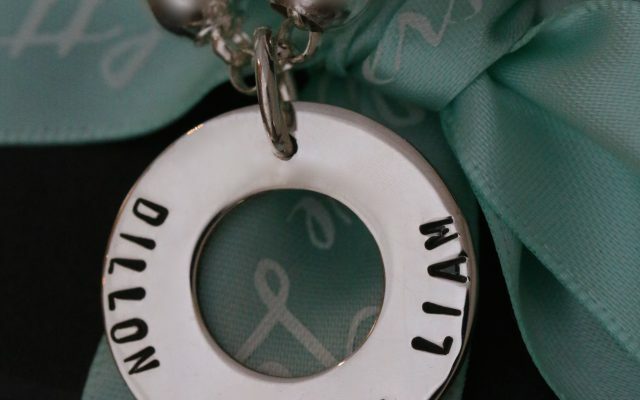 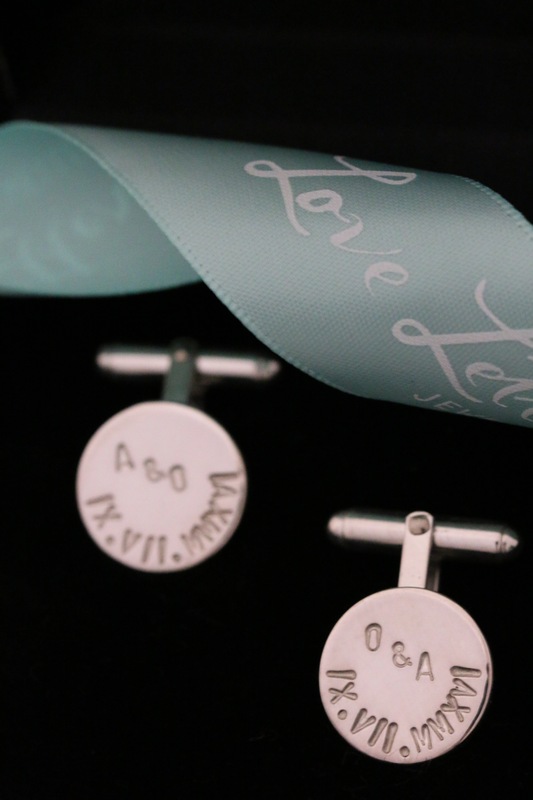 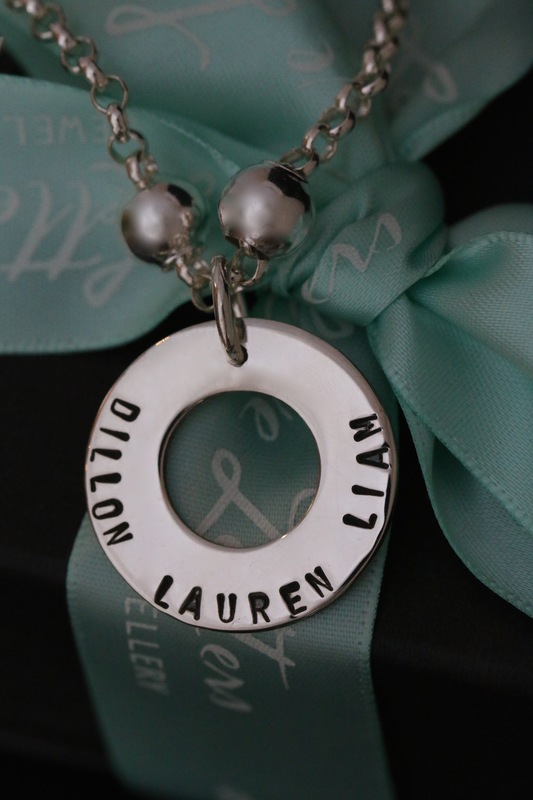 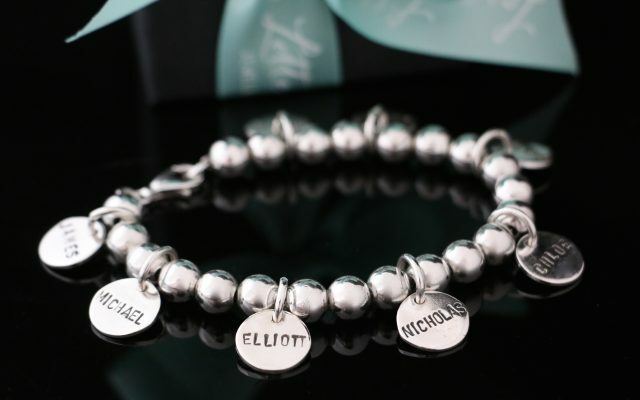 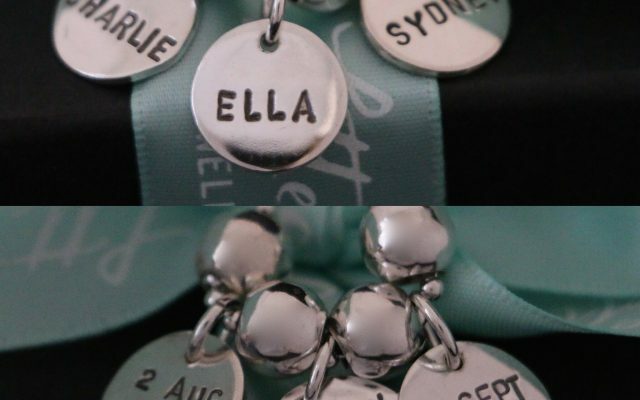 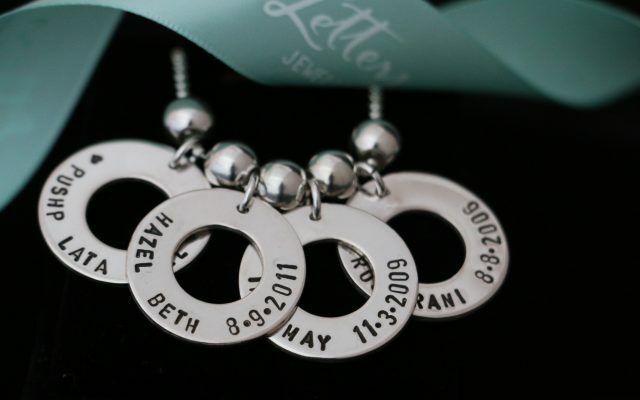 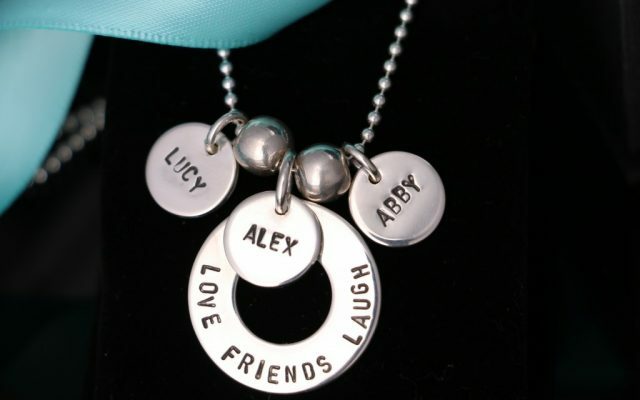 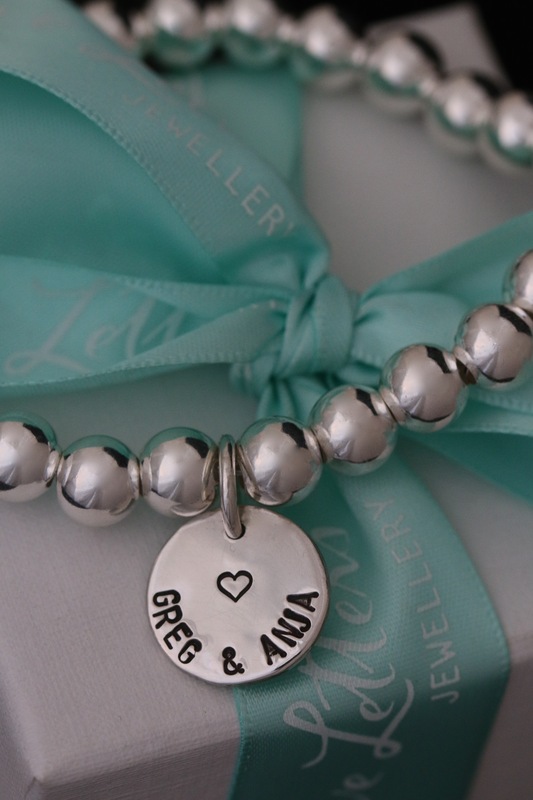 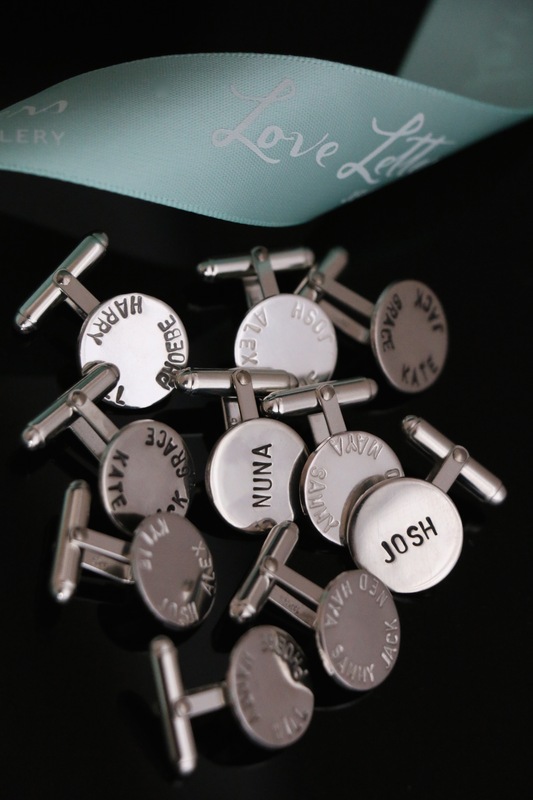 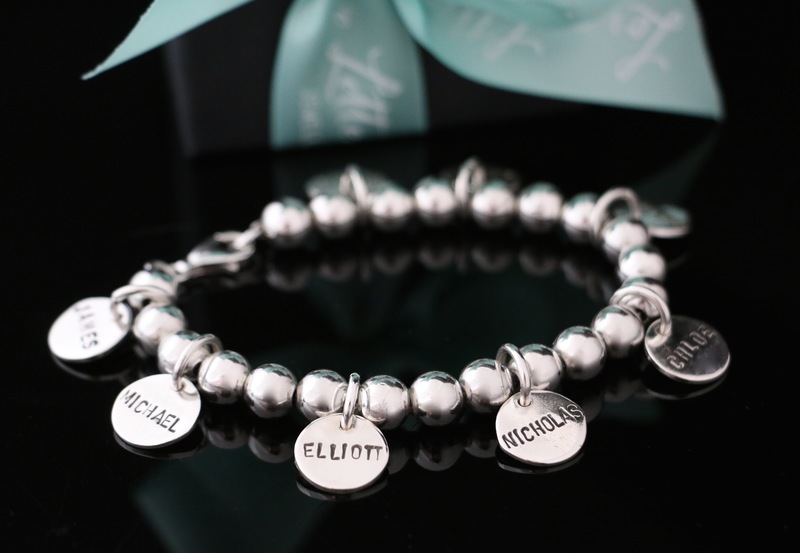 Three charms are stamped with the christian & middle names of her gorgeous daughters along with their birth dates the fourth charm is in remembrance of her dearest mother with specially ordered love hearts on each side.